Wendy's is giving its hamburgers a makeover. The chain is updating its signature burger with a new bakery-style bun this week, the company told Business Insider. 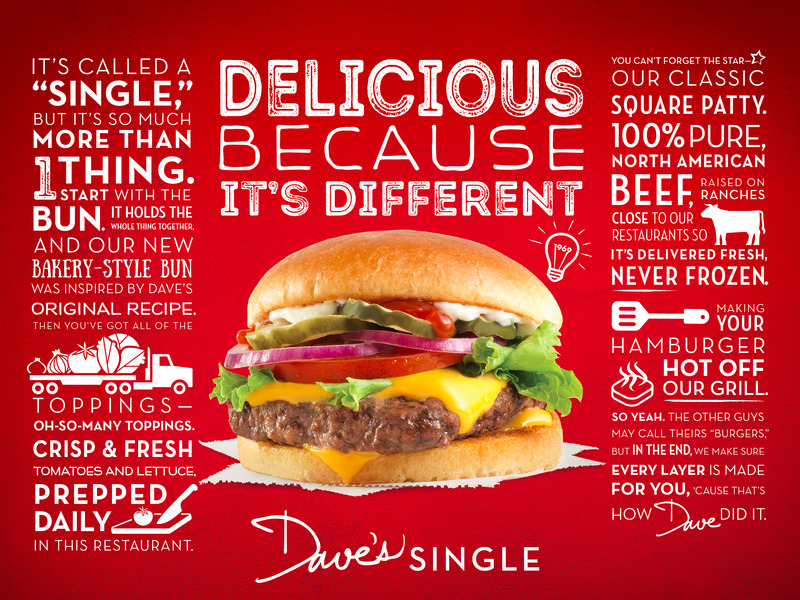 The company says the bun was inspired by Wendy's founder Dave Thomas' original recipe. Wendy's is also changing its burger packaging, swapping a cardboard container for foil "to keep things extra hot." The changes come as McDonald's turnaround gains steam in the US. McDonald's reported a 5.7% increase in US same-store sales in the most recent quarter. McDonald's executives attributed the positive results to all-day breakfast and unseasonably warm weather. The company has also made a number of tweaks to its signature burger, such as toasting buns longer and changing the way its patties are seared and cooked. To highlight the new bun and set itself apart from rivals like McDonald's, Wendy's is launching a new marketing campaign dubbed "The Other Guyz." The ads focus on the fact that Wendy's only uses fresh, never-frozen North American beef and that it "supports a supply chain that costs more than a frozen one because fresh is a difference you can taste." McDonald's, by comparison, partially cooks and then flash-freezes its burger patties, before sending them to restaurants where the cooking process is finished.